"Many of our subscribers have called and written, stating how much they have missed the "Thumb Nails" column which was written by Toni Van Koevering prior to her retirement from writing in June 1992. After we approached several people to write a historical column, Case Karsten said he would try it. To many of the people of Zeeland, Case was "Mr. Zeeland" while he managed DePree's Furniture and ran the Zeeland Chamber of Commerce from his desk by the front door. We wish to thank Case for attempting this new venture and encourage you to call or write to Case to give him ideas." We are pleased to present an index of these articles, which were written from 1993 - 1998. With a Howard Miller library card (aka bar code), you may search the The Zeeland Record (1893-2006) by entering the date in the advanced search field. Articles were located on page 1 unless otherwise noted. Note: If an article is missing the book and page number, we do not have it in our collection but you can find it online at the Zeeland Record (see above). 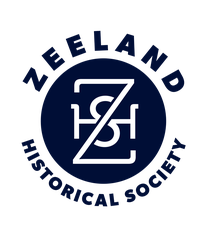 The "Yesterday" articles listed below are located in the Zeeland Museum's research room.